"There is an occasion for everything, and a time for every activity under heaven." There was a lot I wanted to do in 2016, but there was this little thing called graduate school that kept getting in the way. Since starting last fall, I've had to make some adjustments. I’ve had to say “no” a lot more. I’ve had to step back from some responsibilities. “I’ll get to it later” seemed to become one of my new mottos. It was frustrating, because it felt like I failed or fell short in a bunch of areas where I was hoping to excel. It's easy to fall into the I-have-to-do-everything-and-I-have–to-do-it-now trap mentality, and I think I fell in head first into that trap last year. But that mentality, that feeling that if you don't do this activity or chase that dream now it will never get done at all, is a lie. As much as we would like to try, we can’t. In fact, whenever we try to do everything all at once, we wind up not excelling at anything at all. Last year taught me the value of pressing the pause button. I wrote down a list. On this list are dreams I want to pursue, places I want to travel to, hobbies I want to take up, skills I want to learn. Out of the bunch, I picked two or three to chase right now. For the others, I hit pause. I can’t chase them right now, but eventually I will. I wrote them down and pinned them on my bulletin board so I won’t forget about them. They are there and will still be there whenever I'm ready. Pressing pause is not failing. There is no shame in stepping back in one area so that you can excel in another. Take a deep breath and take that pressure off of yourself. You do not have to do everything all at once. We all find ourselves in different seasons and stages of life, and each season requires something different from us. At the moment, graduate school is my season. That’s my hustle. That’s the battle I’m trying to win right now. What’s yours? Are you willing to press pause on some things in order to win the fight right in front of you? 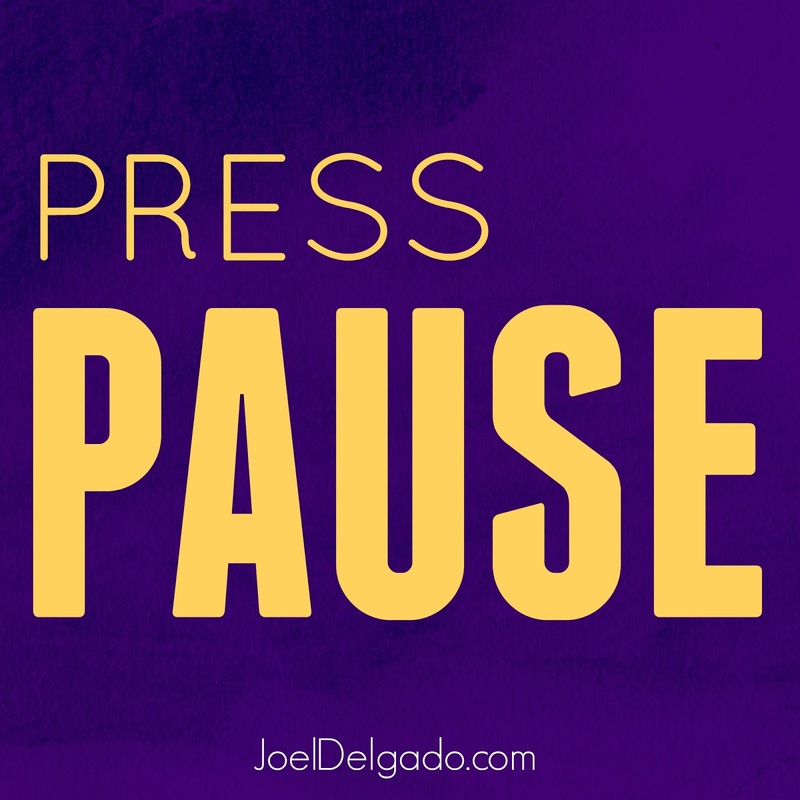 Don’t be afraid to press pause. This post is the most motivational thing I have read all day, and it is amazing. This is exactly what I needed at this point in my life. Thank you so much for sharing this.